15% Is A Good Starting Point, But...Can You Save More On Your Ontario Auto Insurance? > 15% Is A Good Starting Point, But...Can You Save More On Your Ontario Auto Insurance? Back in August 2013, the Ontario government announced it was targeting an average 15 per cent decrease in car insurance rates by August 2015, and so far they say rates have dropped an average six per cent. Are there ways to save even more? A good friend of mine, always tells me to ask, "Is that the best price I can get?" when buying something from a store. At first, I was embarrassed to do it but have long since learned that it never hurts to ask as I'm often offered an extra 5 per cent here, a 5 per cent there. It adds up. 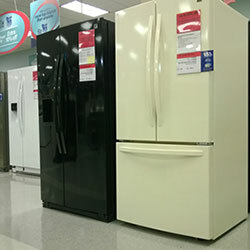 Now, buying auto insurance isn't the same as buying a new refrigerator; this is absolutely true. There are no weekend sales, and there's no room for haggling. Car insurance in Ontario is highly regulated by the Financial Services Commission of Ontario to ensure that people are treated fairly and consistently; this is a good thing. But, take a look at your current auto insurance policy, and ask yourself, "is this the best price I can get?" Chances are-if you're a good driver-you can get a better price, especially in the coming months and year ahead. In August, 2013 the Ontario Liberal government unveiled its Auto Insurance Cost and Rate Reduction Strategy, and since then the government says auto insurance rates have dropped an average of more than six per cent. But, the target is actually 15 per cent by August 2015, and the government hopes the recent passing of Bill 15, the Fighting Fraud and Reducing Automobile Insurance Rates Act will contribute to helping them achieve this promised goal. Anytime there's a change in car insurance rates, drivers don't see the full effect until it's time to renew. But why wait? You're free to compare auto insurance quotes at any time, and even switch auto insurance providers. Given how car insurance rates have dropped, and are expected to continue to drop, the savings you reap may very well offset the cost of a mid-policy cancellation fee. You don't have to wait for the savings to come to you: compare auto insurance quotes today. Over the next year or two, you're going to see more and more about telematics (or usage-based insurance) and how it can help you save on car insurance. But what the heck is it? It's a device that you install into your vehicle; it monitors your speed, acceleration and braking tendencies, the time of day you typically drive as well as how much driving you actually do. For good drivers, it's a great opportunity to earn additional car insurance discounts. A popular misconception is that it will be used to penalize bad drivers; this isn't true. Drivers who sign up, pay a car insurance rate just like anybody else, and then get discounts based on their good driving behaviour, bad drivers don't. Drivers may not believe it, but car insurance rates (and how they're determined) are going to change. As rates decrease, and insurance becomes more individualized, being a good driver has never before saved you so much money. Can All Ontario Drivers Expect Cheaper Car Insurance? Looking For Savings? How's 15% Off Your Ontario Car Insurance Sound?